Lawmakers propose three-year prison sentence for recurrent drunk driving | Russian Legal Information Agency (RAPSI). MOSCOW, October 8 - RAPSI. State Duma lawmakers have proposed depriving drunk drivers of their licenses for three years and sentencing them to five years in prison for recurrent drunk driving, Constitutional Law and State Development Committee deputy head Vyacheslav Lysakov told RIA Novosti Monday. 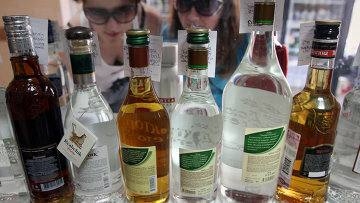 According to Lysakov, the draft law to be submitted to the State Duma will offer a range of punishments depending on the degree of intoxication, with a maximum fine of 50,000 rubles ($1,600), or this fine amount plus a three-year driver's license suspension for refusing to undergo a medical examination. He also noted that these issues are hotly debated and may eventually be amended. Lysakov added that drivers can lose their license for 1.5-2 years today for any blood alcohol content. "If an individual is caught driving under the influence for a second time, his license will be forfeited for up to three years pursuant to the new law," he added. The need to toughen the punishment for drunk driving arose after an inebriated driver rammed into a bus stop in Moscow, killing seven people, including five orphans. The State Duma is expected to review the amendments to the legislation as early as on October 16. The initiative has been supported by Prime Minster Dmitry Medvedev. 17:01 08/10/2012 State Duma lawmakers have proposed depriving drunk drivers of their licenses for three years and sentencing them to five years in prison for recurrent drunk driving. 15:45 19/04/2019 The Moscow City Court on Friday dismissed an appeal against an 8-year prison sentence given to ex-board chairman of Ergobank Vyacheslav Barmin for embezzling 750 million rubles (about $12 million at the current exchange rate). 17:43 19/04/2019 The Moscow Commercial Court has rejected a motion filed by the former vice-president of the Financial Corporation Otkritie Gennady Zhuzhlev seeking to dismiss a claim to recover 43.5 million rubles (about $700,000) from him without prejudice.